Over the last few years Bestway has ramped up its activity in Scotland through shrewd wholesale acquisition and an expansion of its symbol group Best-one, and with double digit growth in the last year, it’s clear more retailers are turning to the group. Here, Symbol Director James Hall discusses the company’s ambitions in Scotland. How is Scotland performing in Symbol and Club? I’m happy to say that both our symbol offering Best-one and our promotional club Xtra Local are performing incredibly well in Scotland. If we look at the figures for 2015 we have delivered impressive double-digit growth both in terms of net store numbers and sales. Tell us a bit about Best-one and why it is a good fit for retailers? Best-one was launched twelve years ago with a couple of stores in the Oxford area. Over the years the group has seen double digit growth every year both in terms of store numbers and sales. 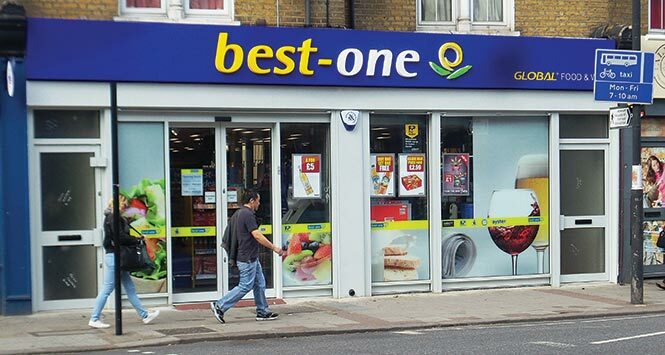 Best-one is now a truly national player with over stores covering the whole of the UK from Aberdeen to the Channel Islands and is the UK’s fastest growing major symbol operator. For forward thinking and progressive retailers who bring discipline and compliance, Best-one also offers My Rewards, the best rebate scheme in the sector which offers up to 5% cashback on all purchases, and the flexibility to buy when you like and how you like through our omni-channel approach to retailing. So where does Xtra Local fit in? Xtra Local is the retail club from Batleys which offers independent retailers who still prefer to shop at Cash & Carry the opportunity to run an effective and profitable promotional campaign for customers. These retailers may not want to be part of a symbol due to structured agreements, adherence to minimum orders, joining or costly monthly fees. Membership of Xtra Local gives forward thinking retailers the opportunity to run their business their way but with the backing and promotional expertise of the Bestway Batleys group. It seems retailers are now realising the importance of being part of a promotional club as we have see an increase of 17% into Xtra Local in Scotland alone bringing the total number of stores to just under 250. What is the most important initiative for your business and why? The continuing enhancement of our chilled offer to our members. If you look at all the multiples and all the good independent retailers, chilled is the first category a shopper meets when they enter the store. This isn’t by accident. This is because it is on trend with what shoppers are looking for they are buying less in the multiple supermarkets and more often in convenience. So just how important is chilled to retailers? Currently a good chilled fixture can offer the same sales value as beer and lager, with greater margins. The flip side is chilled is harder to manage, takes greater effort and there is a concern over wastage. Best-one has seen sales of chilled grow by 30% and a large part of this is that retailers are able to order 80% of chilled products as singles rather than full cases which helps members offer a wide range of chilled while minimising their outlay. In the next five years chilled will account for 40% of a c-stores overall sales so getting it right is crucial. To help retailers achieve this we have recently produced chilled planograms ranging from 1.5m to 9m chilled runs to help retailers identify the best sellers and display them to sell. What other factors are driving growth in convenience? The habits and needs of the shopper are changing. They are shopping more locally but are becoming more promotional savvy. Retailers need to ensure that they have the right range at the right prices to stop shoppers migrating back to the supermarkets. They need to make sure they make it seem like an unnecessary journey for shoppers to visit the multiple by stocking all the essential items in their store. Take barbecues for example, why be content to just sell them beer, wine and sauces when they can get additional sales through rolls, vegetables, burgers and chicken? Batleys has recently brought out a range of pre-packed fresh fruit & veg, butchery and poultry under its Best-in label to help retailers trade up shoppers but without the need for weighing and all the health and safety concerns when handling fresh meat. Consumers are also looking for value so stock larger format packs, offer value though price-marked packs and promote, promote, promote! Both Best-one and Xtra Local run fantastic consumer promotions every month with a full suite of retailer point of sale material to increase footfall and loyalty to members’ stores. What is Best-one and Xtra Locals unique selling points? Both Best-one and Xtra Local members get the benefit of great prices, an award-winning own label range in Best-in, highly competitive consumer promotions, point of sales material and help and advice from an army of business development personnel. Best-one requires greater commitment and greater discipline from retailers but offers members a professional approach to symbol retailing with a fantastic branded store solution both inside and out. In addition members have the opportunity to earn up to 5% cashback through the ‘My Rewards’ retailer rebate scheme which is currently paying back an average of over £7,000 to each participating member. Members also love the flexibility that Best-one offers. Best-one members can buy in depot, online or via mobile, and have goods delivered direct from depot or via a network of accredited drop shipment suppliers. Or if they choose they can collect from their local Batleys depot. The can opt to pay by cash, card, cheque or credit (once approved) giving them complete control over their stocking and purchasing requirements. No-one can beat this flexibility. Xtra Local’s major asset is the promotions; sector leading promotions which give great margins. In fact we have extended the Xtra Local model to include an Express format for smaller stores who are less grocery and convenience led. Xtra Local Express requires retailers to take a minimum of twelve consumer facing deals (15 if licensed) rather than the full scale Xtra Local requirement. These promotions have been designed exclusively for stores that are more impulse driven with high footfall but without the breadth of range of a normal convenience offer. Members still receive regular monthly POS and sales material to highlight deals in-store and trigger additional consumer purchases. Since its launch in May over 300 retailers have signed up to the Xtra Local Express scheme. How can retailers get in touch if they are interested in Best-one or Xtra Local? All the joining information is on the groups’ websites but the best way for retailers to get in touch is to simply visit their local Batleys depot and talk to the manager. Finally, what are the key questions independents should ask themselves when choosing a symbol operator? There are only two questions: Does the group truly understand the current and future needs of independent retailers? Can it offer me what I need to meet the changing needs of my shoppers? All other questions are secondary to these two.